With Chiron and Saturn so prominent, it is very likely that we will have to deal with old wounds and fears, our inhibitions, limitations, restrictions, and becoming aware of all the glory of our defence mechanisms resulting from it. Mars helps with courage and confidence to overcome the old patterns. Uranus (I always love him) helps with the urge to break the old structures, to bring in freedom and independence, fresh air, though it might come unexpected, unpredictable. Lilith helps finding new ways to express the wild untamed powerful female side. Saturn squares Mercury, Moon opposes it; it won’t be easy to express what‘s going on inside. Emotional versus thinking, irrational versus over analytical. And both sides feel being restricted (usually by others, most likely our beloved ones). Best to find a non-verbal expression for all the emotions so to avoid unnecessary arguments and misunderstandings. Especially as Deneb Kaitos with the Moon enhances quarrels, being too head strong etc. As much as, under Saturn, we can feel sad and lonely, bitter and cynic, guilty and shameful, depressed and reclusive, blaming us and/or others, he is the key to new structures as well. Thus we can use the next weeks also to look closer at our guild and shame and blame patterns and change those, too. 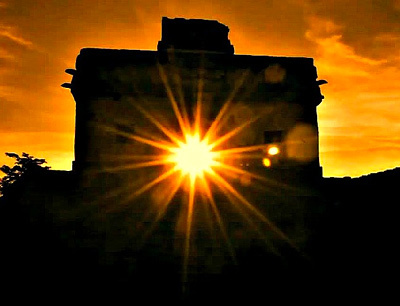 Another aspect worth considering is that the full Moon falls close to the equinox (2 days), thus illuminating the equinox mysteries once more resp expanding the equinox window for another day. The Moon activates the equinox point just a few hours before being full. The September equinox is currently aligned with the North Galactic Pole, a region astronomers consider as one of the best for studying other galaxies. A great door (window) into the knowing of time and space, of deepening our understanding of our relationship to time and space. We are becoming more multi-dimensional, learning to exist simultaneously in more than one reality, enhancing our ability to consciously dream the dream onward. There are no rules how we do this, how to engage with it. We are creating new ways of being alive! 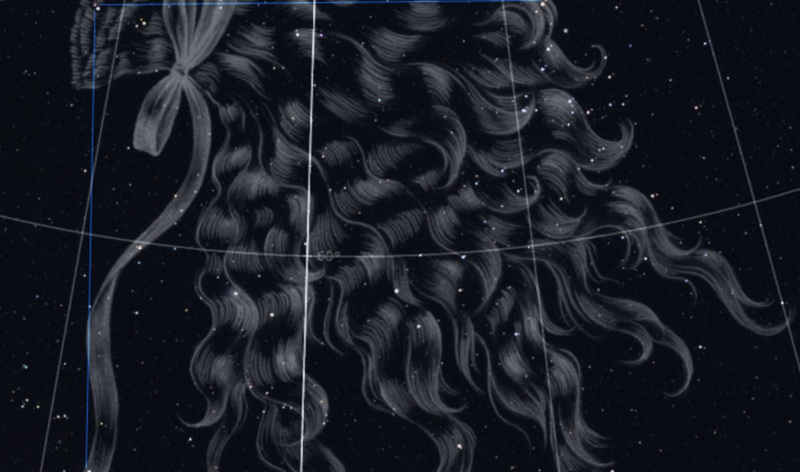 Berenice’s hair gives important clues about this area of the sky. 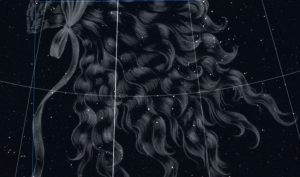 Hair is a symbol of many myths. It stands for power, strength, life force. It is Rapunzel’s rescue from prison (by the sacred masculine). It links us to the power of thought, spiritual knowing, inspiration, higher powers. Kali’s hair is Time. Buddha’s hair the tranquil and serene mastery of life force. Etc etc.